How the body handles many other vital functions of the cardiovascular, gastrointestinal, and nervous systems. Thyroid hormones directly affect the heart. If you have too much of the thyroid hormones in your blood, it will cause your heart to beat harder and faster. Treatment of hyperthyroidism can lead to the opposite condition, hypothyroidism . 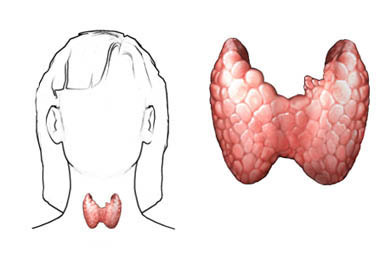 This is a condition in which the thyroid gland produces too little thyroid hormone. It is easier to treat hypothyroidism long-term than hyperthyroidism. Treatment of hypothyroidism involves taking a pill of thyroid hormone. It is estimated that 20 million Americans have thyroid disorders. What are the risk factors for hyperthyroidism?What are the symptoms of hyperthyroidism?How is hyperthyroidism diagnosed?What are the treatments for hyperthyroidism?Are there screening tests for hyperthyroidism?How can I reduce my risk of hyperthyroidism?What questions should I ask my doctor?Where can I get more information about hyperthyroidism? Hyperthyroidism (thyrotoxicosis). Merck Manual Professional Version website. Available at: http://www.merckmanuals.com/professional/endocrine-and-metabolic-disorders/thyroid-disorders/hyperthyroidism. Updated July 2016. Accessed November 28, 2017. Hyperthyroidism and thyrotoxicosis. EBSCO DynaMed Plus website. Available at: http://www.dynamed.com/topics/dmp~AN~T116479/Hyperthyroidism-and-thyrotoxicosis . Updated July 27, 2017. Accessed November 28, 2017. Primary hyperthyroidism. National Institute of Diabetes and Digestive and Kidney Diseases website. Available at: http://www.niddk.nih.gov/health-information/health-topics/endocrine/primary-hyperparathyroidism/Pages/fact-sheet.aspx. Updated August 2012. Accessed November 28, 2017. Thyroid disorders. Healthy Women website. Available at: http://www.healthywomen.org/condition/thyroid-disorders. Accessed November 28, 2017. Vaidya B, Pearce SH. Diagnosis and management of thyrotoxicosis. Brit Med J. 2014;349:g5128.